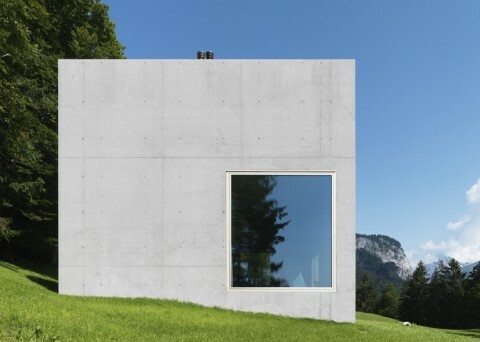 Located nearby Schnepfau (Austria), the Haüs Rüscher is a small familiar house imagined by the OLKRÜF studio (Oskar Leo Kaufmann & Albert Rüf). 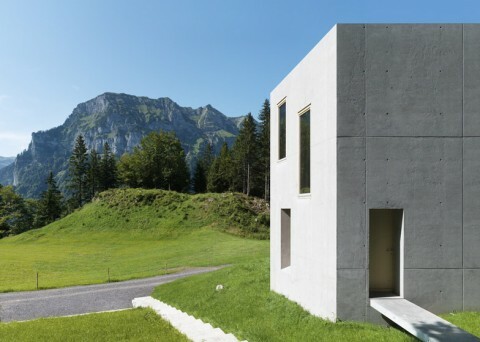 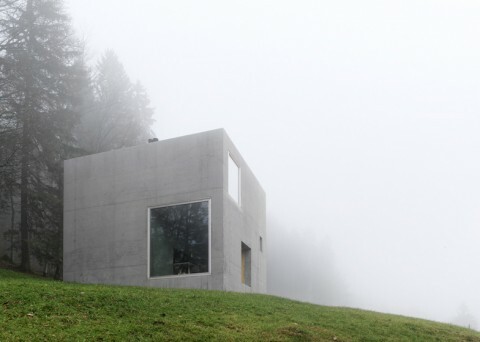 To face the clients demands, the two architects created a monolithic residence which concrete coating perfectly fits in the mountains environment. 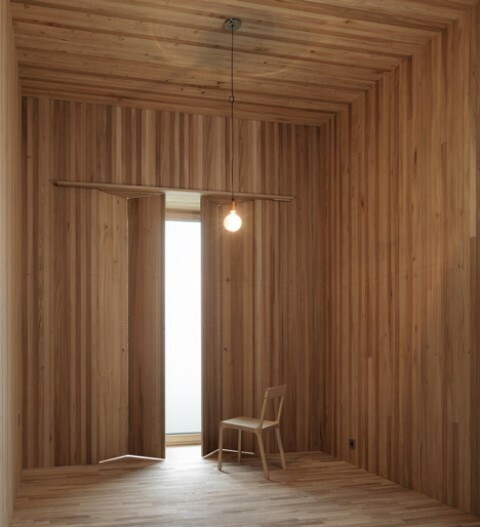 The space is shared among three levels, the common rooms being located at the ground level. 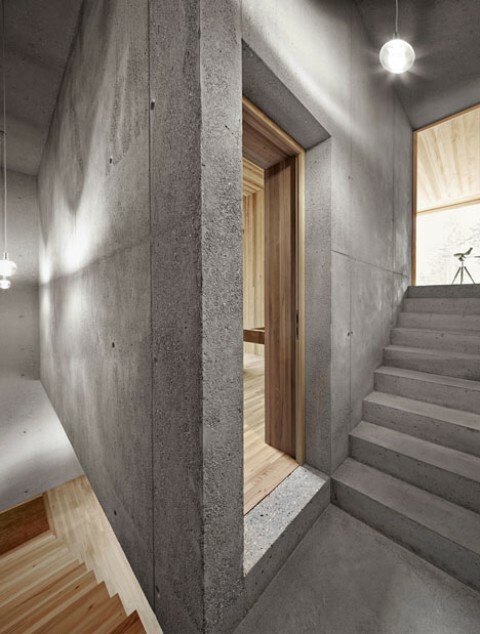 On the upper floors, two bedrooms succeed. 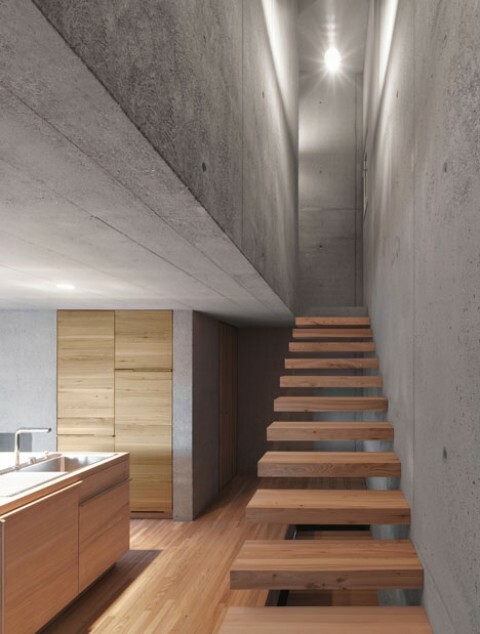 The first, dedicated to the children, is higher than the second in such a way bunk beds can be placed in it. 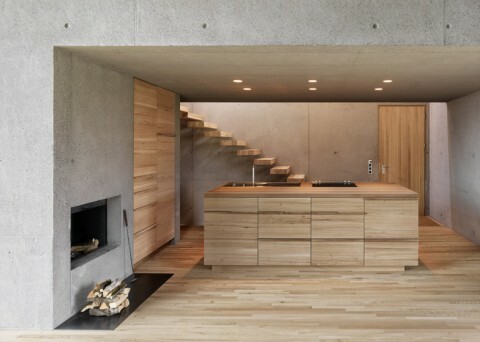 The interior of the home is characterized by the association of concrete and wood as all the floors, as the walls of the bedrooms, are made of elm. 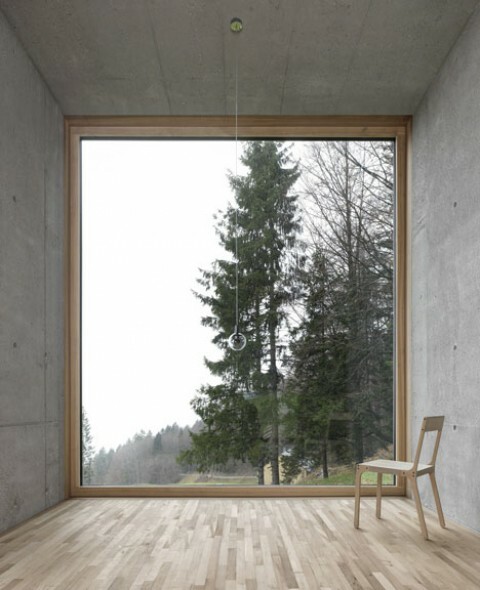 Large windows allow to appreciate the surroundings. 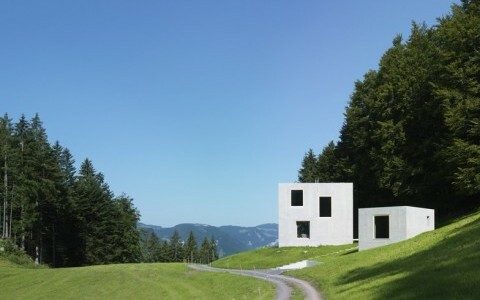 Lastly, an outhouse reproduces the structure of the main building and hosts the guest room, a shower room and a sauna.